US Vice President Mike Pence at the Japanese Prime Minister's official residence in Tokyo. The trade agreement Washington and Tokyo plan to negotiate will be a model for the Indo-Pacific region, US Vice-President Mike Pence said at the start of his Asia tour today. Mr Pence, who referred to trade negotiations to be held between the US and Japan in January, met Japanese Prime Minister Shinzo Abe during the first stop of his Asia and Oceania tour, Efe news reported. "The alliance between the US and Japan is historic. It is the cornerstone of peace and prosperity in the Indo-Pacific," said Mr Pence. "We are grateful for Japan's renewed investment," said the US leader. He thanked Mr Abe for his commitment towards Japanese investments in the US which were a major economic contribution and source of job creation. However, Mr Pence pointed out that bilateral trade balance had been uneven for too long as Japan applied barriers on US goods and services imports. But Japan, Mr Pence said, "is an indispensible trading partner for the US" and the countries have a great opportunity ahead in the economic dialogue formally started in September. 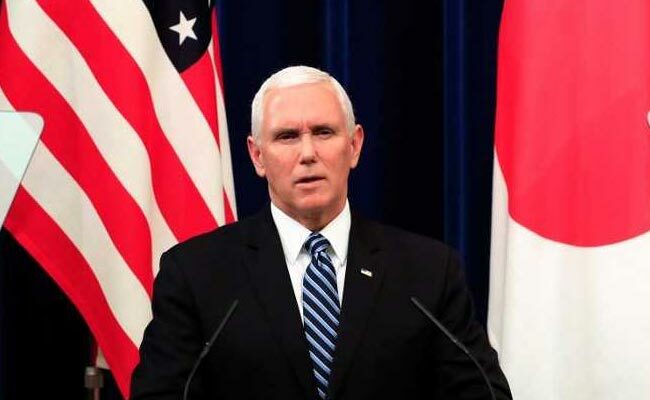 "The time-honoured bond between the US and Japan is a model for nations across the Indo-Pacific region and the world," said Mr Pence, adding that US leadership in the region was based on collaboration and not control. Mr Abe said both nations agreed to promote free and open trade in the Indo-Pacific region based on fair rules as well as expanding mutually beneficial bilateral trade and investment. However, Mr Abe used the same arguments to criticize the tariff measures and other protectionist policies applied by the administration of Donald Trump and expressed concern over the US' withdrawal from several multinational trade initiatives. Both Mr Abe and Mr Pence will participate this week in the annual Association of Southeast Asian Nations Summit (ASEAN) in Singapore and the Asia-Pacific Economic Cooperation Forum in Papua New Guinea to promote regional economic integration. This marked Pence's third visit to Japan since assuming office. The two governments signed a series of agreements to promote mutual investments in infrastructure, telecommunications and nuclear power for civilian use.